The story of Marie Laveau, the character featured on American Horror Story: Coven. New Orleans in the mid-nineteenth century: a potent mix of whites, Creoles, free blacks, and African slaves, a city pulsing with crowds, commerce, and an undercurrent of secret power. The source of this power is the voodoo religion, and its queen is Marie Laveau, the notorious voodooienne, worshipped and feared by blacks and whites alike. In mid 19th-century New Orleans Marie Laveau was the notorious queen of voodoo--worshiped and feared by blacks and whites alike. 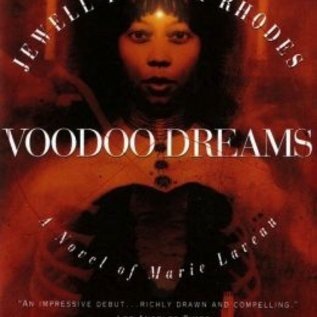 Voodoo Dreams reimagines the woman behind this legend, a mesmerizing combination of history and storytelling. 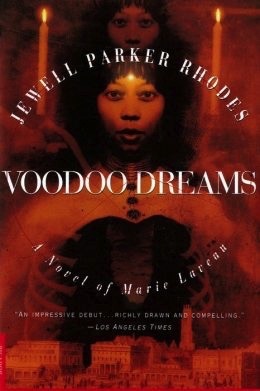 Richly written, filled with vivid characters and insight into voodoo, Jewell Parker Rhodes' debut novel introduces a powerful new voice in fiction.